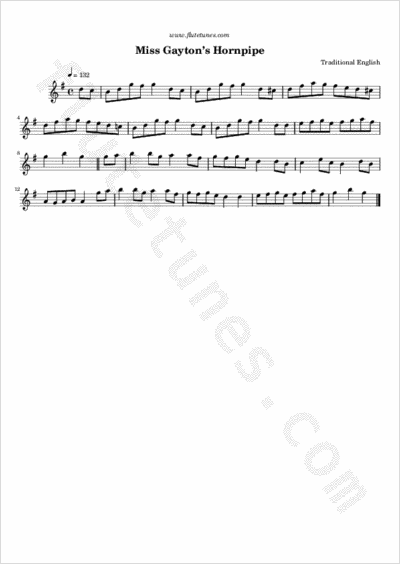 The earliest appearance of this tune in print is in A Selection of Elegant & Fashionable Country Dances, Reels, Waltzs, &c. for the Ensuing Season 1808, originally published in London. Miss Esther Jane Gayton was a dancer and actress who played a Sylph at Drury Lane as early as 1806. Shropshire poet and musician John Moore entered the hornpipe into his manuscript collection as “Miss Heaton's Hornpipe”, while Francis O'Neill printed the tune under the title “Sailor's Hornpipe”.